Looking at getting a new tripod as the current one has taken an absolute beating over the years and I’m having to re-tighten the latches around most legs after or sometimes halfway through each outing. I’m a bit unsure of what to get regarding latches vs twist locks. I like how twist locks seem fast to operate and simple but I can only imagine the trouble if a bit of sand or grit or salt water gets into the mechanics. Latches seem a lot easier to pull apart and wash if need be. What is your experience with latches vs twist locks at the coast? Additionally, those of you who have invested in carbon fiber, has it been worth it? Are there any other benefits over aluminium other than weight? The weight savings of CF over aluminum is a no brainer. Just be sure to get a tripod that will have enough extended height, and weight capacity to hold your camera and heaviest lens without putting undue strain on the tripod/head combination. Can’t help with the twist or latch question (I have twist on a Gitzo and they work great), but CF is much, much better at absorbing vibration. I used to own both and did a little test to create vibration and see how each responded. This was extremely unscientific, just pinging the tripod and feeling the tripod’s reaction. It was not even close. The aluminum vibrated way more. So there are other benefits beyond weight. Michael, without knowing more details of the model and make of your current tripod, it’s hard for me to advise. But I have three tripods, one aluminum Manfrotto 2011 and two CF, one a Manfrotto and the other Gitzo, the latter being the one I use most. The Manfrotto never gave me problems with sand/mud, and easier to clean than twist locks. I agree that one has to be careful with twist locks. If it were me I’d go for the Gitzos or similar in CF, as weight at my advanced age is a big factor. The Gitzo twist locks are free with only a quarter turn and positive locking. However levers have a big advantage for some folk. My Manfrotto has levers that work fine and solid locking. As a related side note, here’s an interesting thing I did to help control the plague of sand, even wet sand, as I shoot a lot at the beach: I call it my tripod beachwear. Get a set of tennis balls and cut a slit in them, only long enough to allow the ball to be squeezed to insert the leg. They can stay on the tripod or be removed at your option. No matter which new legs you get, this works great for keeping it clean, and what’s more important for me, providing a large bearing surface for keeping my 15 pound load from sinking into the sand. I bought a Feisol 3301 off a recommendation by Lon at the time. He had one for a period of time and said it was a solid unit. I was hesitant on the point between lever locks and twist locks. No debate as already pointed out between Aluminum and Carbon Fiber. CF is the answer on that point. I was lucky when I finally bought my 3301 as Feisol had made two major changes prior. One was the seals on the twist locks were changed from plastic to metal. I think that might be a key issue for the water and dirt item. I do not have water where I photograph so I cannot swear on that issue. The second change was they had moved to non-rotating legs. So the tubes do not twist around when sliding up and down. In the end the change from lever locks on my previous tripod unit to twist locks was a smart move and I find it much easier for my adjustments. About 30 years agoI became quite adept, even expert at replacing or adjusting lever locks on the old Bogen (now Manfroto) line of tripods. Kept a pretty good stock of lock parts on hand. Bought my first Gitzo with twist locks. A month later every Bogen and all the parts were up for sale. Cheap. I’ll never go back to levers, no matter the make or model. Thanks for the (very fast!) replies everyone. @Harley_Goldman Thanks, that’s exactly what I needed to hear, CF it is then. @Bill_Leggett The tripod I use currently is an old model Manfrotto Befree travel tripod in aluminium. Thanks for the idea with the tennis balls but the waters I shoot in are a bit more rough and the water level often engulfs the lower few inches of the legs, I think the balls would just fill up with water and sand themselves, but thanks though. @Paul_Breitkreuz Yes, CF it is. Thanks for the feedback. I think I’m going to spend some time at my local camera shop checking out the different types. It seems to be a very personal decision so i’ll see what suits me. Thanks guys. One word of caution on twist locks. 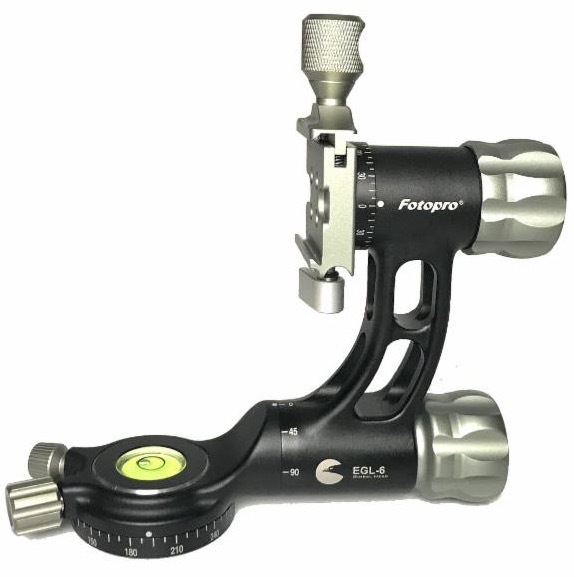 I had a Gitzo 4-section leg tripod for years. When I carried it over my shoulder, the section length and my arm length combined perfectly for me to accidentaly loosen the twist lock, so I’d advise trying one out if at all possible. I never had a disaster, but it was sufficiently annoying that I finally bought a different one (still twist lock) and I havent had a problem. They’re easy to dismantle, clean and lube, so maintenance is a small deal. But you need to do it periodically, especially after submerging them in water or working in real dusty conditions. The last two we bought (carbon fiber travel models) have legs that do not rotate once the lock is loose, unlike the older ones in our stable. That’s proven a game changer for us, especially my wife. Now it’s lots easy to unlock, adjust, and relock one-handed. Definitely get a CF if you can afford that option. A few pounds saved can mean a lot on a hike. I’ve had both latches and twist locks. Both are a pain to disassemble to clean. I think for me the twist locks are a little easier to clean but that also could change based on how a specific company designs their locks. For instance, my Feisol tripod has six pieces total per lock. Four of them are plastic rings and they have to go in a certain way for it all to fit back into place. It took me a little bit to figure it out. I don’t understand why they did not combine the four pieces into one but I’m sure they have their reasons. I prefer twist locks over latches because in cold weather they feel better on the fingers than gripping latches. I use a Gitzo two series CF. I love it, but if I had to replace it I would replace it with a RRS because of the truly terrible customer service Gitzo has. I believe it is owned by Manfrotto, which is an Italian company ( I’m Italian so I get to bad vibe their service). My fairly new tripod failed due to one of the legs being milled wrong (the little white plastic spacers would easily become dislodged, and the leg would pull out from the body). It had a lifetime guarantee, so I sent it to New York, where the American headquarters is. They kept it for for two months despite numerous “Where is my tripod” emails. In July I was finally able to talk to someone, who told me it would be at least another month because everything closes down in Italy in August. 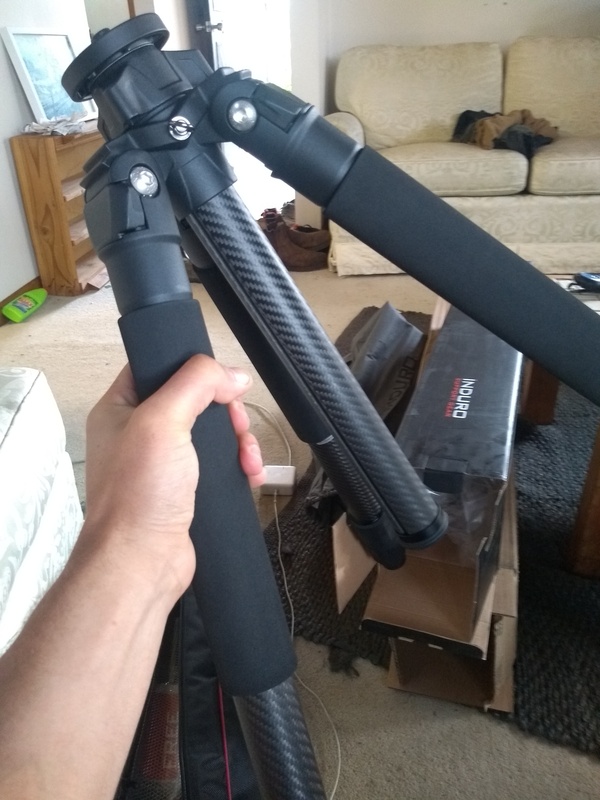 At the beginning of September they told me Gitzo no longer had the replacement part needed to fix my tripod, so they sent me a new equivalent replacement. The good news: they honored the warranty and replaced my tripod, the bad news is that it took over three months. FYI, they returned and let me keep the old non functional tripod. I super glued the white plastic piece onto the leg, and gave the tripod to a friend who has been using it for going on two years with no problems. Good info, Tony. 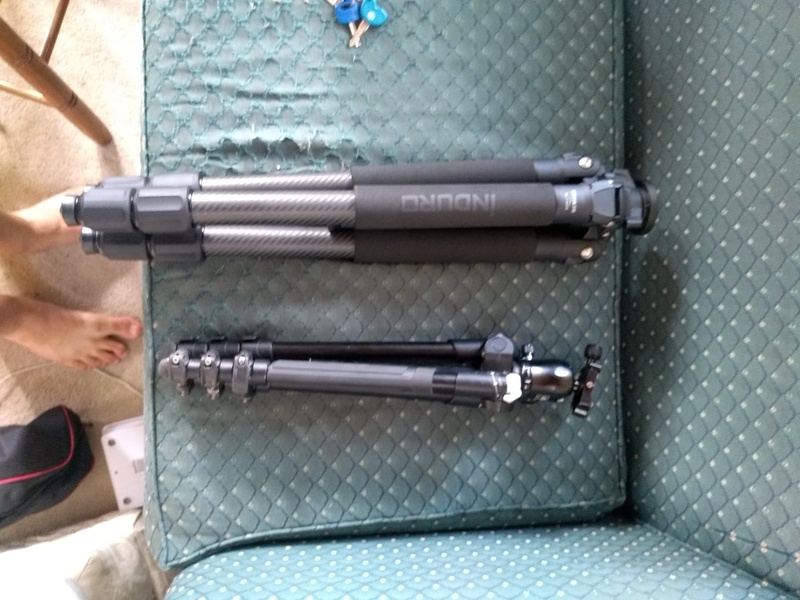 I have three older Gitzo CF tripods in various sizes and they have treated me extremely well (and I am kind of rough on them). If it comes time to replace, I will take a look at the RRS offerings. I know they are expensive, but quite often, you get what you pay for. @Harley_Goldman re looking at RRS tripods. One of the things I like about them is that they use larger diameter tubes which means larger diameter locks. When my hands occasionally act up (they’ve been behaving for a while now), it can become difficult to grip the smaller diameter locks. One trip I actually took a small set of lockjaw pliers to help tighten the locks on my old Gitzo. I purchased a Sirui W-2204 a couple of years ago and have been very happy with it. Carbon fiber, and the twist-lock leg sections are waterproof. After a session with the lower legs in the water at the beach, I just rinse them off with fresh water, wipe down with a rag and then let them air dry. I disassembled the legs once when I first tried it, and there was no moisture inside the tubes. There is a smaller, lighter model, which I think is the W-1204. It’s a good moment in time to be looking at tripods , Some really new 'pods by new companies* out there, as well as the older mfgs with new offerings. The best way to determine what you need is to start off with the load you want (camera, ball-head, lens weight) to use on it, your height, how low to the ground you shoot, and if you are going to transport for air travel. The best advice I ever had about buying a tripod was to research, research and research and don’t buy a cheap tripod. Budget $1k. They will last for years. My main tripod is the RRS TVL-34L, They have a newer model now. The Gitzo 3451 XLS also has a new model. Both of these models will let you put in a video bowl for quick leveling on an uneven surface. This is a huge consideration for a tripod purchase. As far as sea and salt, My sticks have seen a ton of abuse. I like the RRS pods for the surf because they clean up faster than Gitzo sticks with skinny legs. My big tip ($6)here that I got from Hudson Henry is to use. @Michael_McGee Hi Mike, I just received some intersting info on a CF tripod from a newsletter by prophotographer Joe Brady about a CF tripod. I’m not sure if you have made your purchase, if not give this a look. I’ve shared this with you before, but since we are offering special pricing at the two trade shows I’m visiting, I thought it would be nice to make the same offers to you once again. The X-Go Max is my travel tripod everywhere I go. It has amazing build quality, supports up to 27 lbs and weighs just 4 lbs. It folds up small, but raises up to 67.7 inches. Normal price is $269.00, but here’s my special pricing for you - just $229 - includes tax and shipping! Along with the X-Go Max, for those of you who want a really affordable but professional level tripod, the Predator is basically the same tripod, but with aluminum legs instead of carbon fiber. It only weighs in at 3/4 lb. more than the X-Go Max and is also a great performer. Just $149! Here’s a link that takes you right to the page! Thanks everyone for the comments and recommendations. I purchased a new tripod just over a month ago and have held off commenting on it until I’ve had a bit of experience with it. After a lot of research and thought I decided to go with the Induro CLT403. It’s a 3 leg section, CF, twist lock, fairly large tripod with a switchable and reversible centre column and rubber feet that can switch out for metal spikes. This guy is a monster compared to my old manfrotto befree and I love it. It’s super solid and stable, even with the legs and centre column fully extended and the twist locks are big and durable feeling. I’ve had to clean sand and grit out of the locks a couple times, and while there’s one or two smaller pieces in the locks, I feel confident opening them up and putting them back together. It is a big tripod and I’ve been having a little trouble strapping it to my camera bag so it’s balanced. It’s too big to stap to the back centre so I’ve attached it to the side and tried to balance it by by placing my 100-400 and water bottle on the opposite side of my bag. That’s one of the strategies we use for larger tripods. But in truth I’m happier with mine strapped crossways on the bottom. My wife is quite a bit smaller than my 6’4" with less upper body strength, and she leans more toward your solution.